In simple words when you use the Amazon search box and you get a result, it means the search engine linked certain keywords to your product listing. If for some reason the search term is considered irrelevant by Amazon, even if you have it in your Product Name, Bullet Points or Keywords fields, you will get no results. 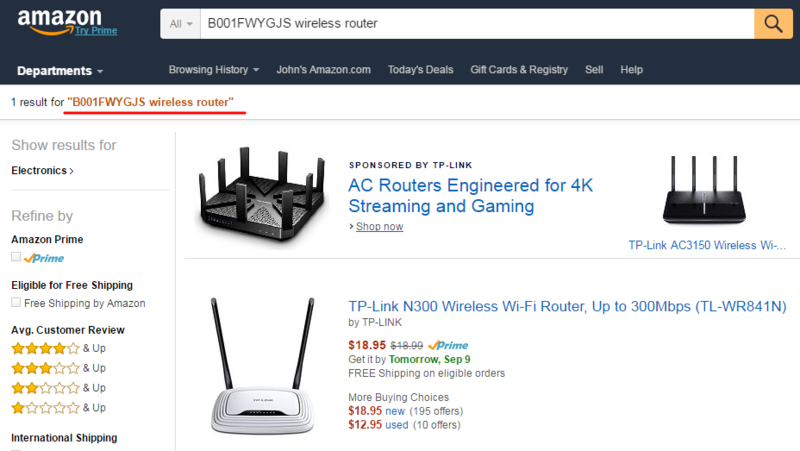 In this case, we used the TP-LINK N300 ASIN number followed by a relevant keyword. The result is in orange and we can see the product listing. This keyword phrase is INDEXED. "garlic press" however is not related to that ASIN, so Amazon will display a message in black and no product listing is to be seen. These keywords are NOT indexed by the A9 search engine. However, this method can also give you some false positive results. Most Keyword Index Checker tools will give you mixed results like this and it can result in drop of sales for you. 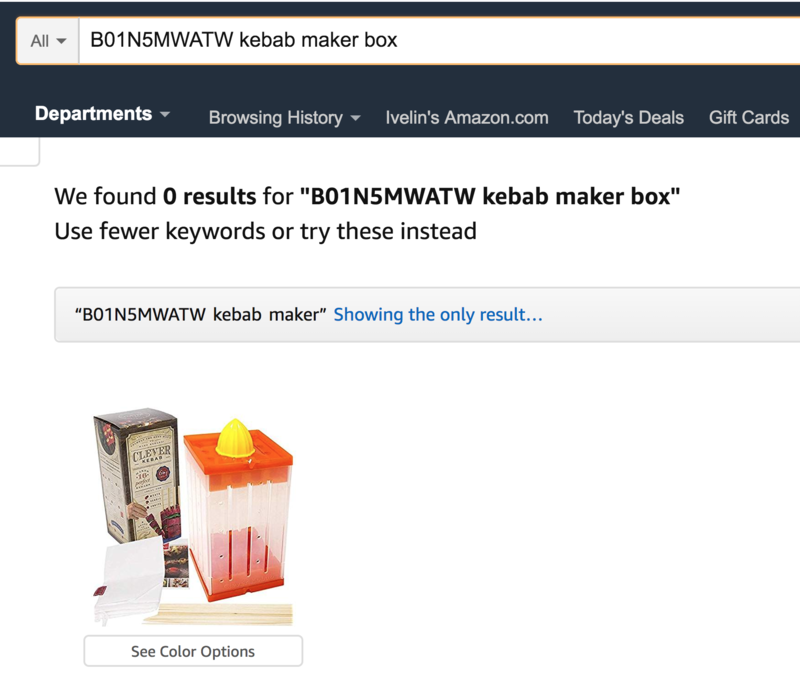 Searching for "kebab maker box" gives us no results, as the word "box" is not in the listing. Not even in the backend. But there was an PPC advertising for this keyword so the listing still got ranked for it. In fact as I am writing this, it's on #1 organic position. Double checking with some popular keyword index checkers confirms that information they give is inaccurate. River Cleaner's TRUE Keyword Index Checker makes it easy to check the real indexing for all of your individual keywords or keyword phrases while also giving you an insight if the keyword was indexed through PPC or organically. Combine that with a keyword tracker and indexing email alerts and you get real gold. The blue SP (Sponsored Product) icon indicates the phrases that are indexed. Now that we know for sure which keywords are not indexed, let's see how to fix them. There are two main reasons why a keyword might not be indexed: relevance and rules. 1. Make sure you are in the correct category. Amazon is changing the browse nodes right now and sometimes you could be assigned a wrong category. 2. Placing the keyword in your title, bullets and subject matter can increase relevancy. 1. Make sure your title and key product features are within the allowed limit for your specific category. Some categories allow 80, others up to 200 characters. 2. The search term field is limited to 249 bytes. There are too many rules on Amazon that we can possibly remember and they can change anytime without notice. The good news is that you don't have to. Just run the River Cleaner's Chrome extension on your listing and follow the recommendations.